What is this Tummy Tuck Procedure? Mini Tummy Tuck or Total Abdominoplasty, is a cosmetic surgical process which eliminates excess fat and skin in the abdomen making it firmer. In addition to that, the surgeon will also restore a weakened abdominal muscle by suturing them back together. The main goal of this surgery is to repair a sagging skin of the mid-section after a sudden weight loss. Sagging abdominal skin or muscle weakness or both are the leading reasons to make somebody a contender. A person must also be generally healthy. It is important that a person may need to trim down his/her weight, especially if you are still extremely overweight and have substantial quantity of fats underneath your belly, before considering a mini tummy tuck (abdominoplasty). Persons who are not in an ideal health essentially have to do a physical workup to be considered as a candidate. People with essentially hefty scars whether it be internal or external acquired from any preceding abdominal surgery can affect their validity of being a candidate. Increasing age surely can cause your abdominal skin to drop its elasticity, creating a great possibility for many elders to contend with the procedure. Risks of complications are specific to any patient and differ for every person. 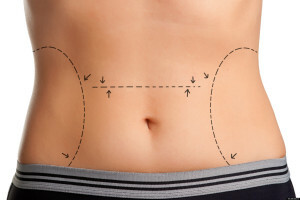 Like every procedure tummy tuck surgery (abdominoplasty) may pose some risks also. Your surgeon can tell you how the risks specifically apply to you. 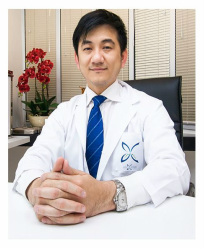 You need first to select a board certified, experienced and skillful surgeon. You can discuss all the thingsthat you need to know and how to physically and mentally prepare yourself. And if you are heavier far more than your ideal weight, you should start to loss some of it preferable months prior to your surgery. These things may contain chemical substances that may interfere with your healing process. The procedure might take 2-5 hours. And will need to stay at the facility 1-7 days after the surgery. First step would be marking of the sites. Next will be the giving of some tranquilizers for patients, depending on the surgeon. This will be followed by the anesthesia administration. Usually general anesthesia is used. And then the surgery proper will follow. Just right above the pubic hairline the initial cut will be started. After the incisions are done, the surgeon will loosen your skin and expose the muscles and fats underneath it. The damaged muscles will be dragged and put together by stitching them and the surgeon will make sure that it would be firm. Some of the fats will be eliminated from the area. After that, the abdominal skin will be pulled down to make it firm. Since the navel skin will also be dragged down, a new incision that will serve as a new navel will be made. Right after all of this, the surgeon will close the incisions carefully suturing it finely to preserve the abdomen’s beauty. Right after the mini tummy tuck procedure, your whole abdominal section will have some bruising, soreness and some amount of swelling. You must stay on bed most of the time for the first week. And on the second week you may slowly move around but pain will still be present. Mini Tummy tuck (abdominoplasty) recovery may take up to 2 weeks to 1 month depending on the patient and the procedures done under the tummy tuck (abdominoplasty). You must take a lot of rest and avoid moving strenuously. Eat the right food and take medications as ordered by the surgeon. You will have physical and emotional adjustments so you need to have a support system during the recovery process. Normally you will get a large scar transversely on the lower abdomen. It would start to diminish usually 2 months after the procedure. Carefully follow the entire surgeon’s advice for care of incision and activity guide after surgery. Follow surgeon’s advice about wearing a compression garment. Slowly return to normal daily routine. Surgery can generate a deeper depression or other mental health problem during the healing process. So a patient must be psychologically stable before opting to have a cosmetic surgery. Do not decide for surgery if you’re only forced to do so by circumstances. You must be properly informed and knowledgeable enough about the surgery before finalizing your decision. Be realistic in the possible upcoming results. Now that you realize these things, it is now your decision if you are ready to undertake the tummy tuck procedure or not.